The Lego Group began in the workshop of Ole Kirk Christiansen (born 7 April 1891), a carpenter from Billund, Denmark, who began making wooden toys in 1932. In 1934, his company came to be called “Lego”, from the Danish phrase leg godt, which means “play well”. It expanded to producing plastic toys in 1947. 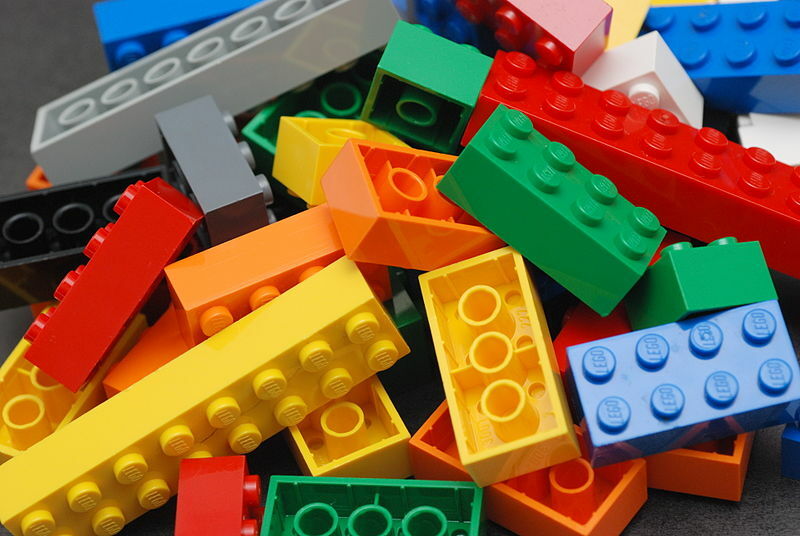 In 1949 Lego began producing, among other new products, an early version of the now famous interlocking bricks, calling them “Automatic Binding Bricks”. These bricks were based in part on the Kiddicraft Self-Locking Bricks, which were patented in the United Kingdom in 1939 and then there released in 1947. Lego modified the design of the Kiddicraft brick after examining a sample given to it by the British supplier of an injection-molding machine that the company had purchased. The bricks, originally manufactured from cellulose acetate, were a development of traditional stackable wooden blocks that locked together by means of several round studs on top and a hollow rectangular bottom. The blocks snapped together, but not so tightly that they required extraordinary effort to be separated.